South Yorkshire school pupils and college students have been given a hands-on insight into a range of exciting careers as part of a regional higher education campaign. 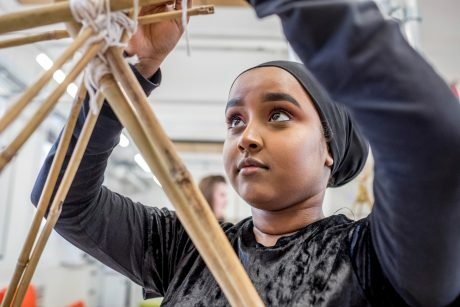 Sixty young people from five secondary schools and six further education colleges in Barnsley, Doncaster and Sheffield took part in four summer schools covering art and design, the built environment, criminology, and languages and film. The Higher Education Progression Partnership South Yorkshire Plus (HeppSY+) funded the summer schools as well as sessions on student finance, employability skills and careers information. Young people attended subject specific lectures, as well as workshops and talks from industry experts. In the criminology summer school they learnt how to gather forensic evidence at a crime scene and take people’s fingerprints, and heard from top crime fighting experts. In the languages and film summer school, they used their language skills in a fun, practical and creative way making their own three-minute short film. 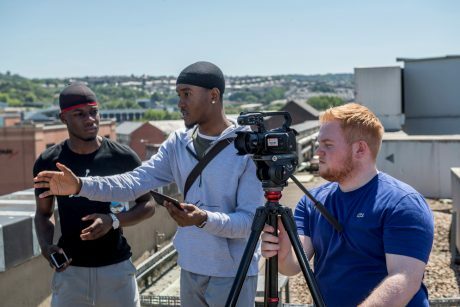 Supported by a team of linguists and film experts, pupils and students put their thinking, linguistic and newly acquired film making skills to the test by filming, producing and editing their films. In the built environment summer school, activities included taking part in a model bridge building challenge. During the art summer school, young people explored the creative process and how to use a wide range of different materials with support from artists and interior designers. The summer schools programme also included visits to Sheffield’s Retail Quarter, the Millennium Gallery, the Hepworth Gallery and the Emergency Services Museum. Student Rebecca Acton, aged 17, who is completing three A Levels in art, biology and geography at Barnsley Sixth Form College, attended the built environment summer school and is planning to go onto university to study a degree in architecture technology. Sheffield Hallam University, the University of Sheffield and the University of Huddersfield delivered the summer schools between June 19th and July 12th.